There are over 700 million children in the world who will go to bed tonight without a loving, engaged, father in the home. We believe this sin – generational fatherlessness – is THE problem of our day. While there are legitimate reasons for fatherlessness – including war, poverty, and disease – abdication of personal responsibility by each individual man is the single biggest contributing factor to the fatherless epidemic. Since lone mothers generally head 80% of single-parent households, regardless of geography, it begs the question…where are all the men? A FATHER FOR EVERY CHILD. To spark a passion in our men to fight for the fatherless at home and abroad as Jesus commanded. Since men have caused the problem, we believe men have the responsibility to fix it (Psalm 78:1-8). This is why we’re heavily investing in today’s man and tomorrow’s father with our authentic masculinity approach. If we’re going to put a dent in fatherlessness, it’s going to take men living as servant leaders, providing for their families, and fighting for society’s most vulnerable – the fatherless. 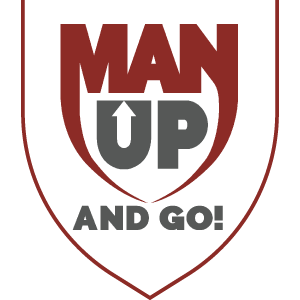 Since 2011, Man Up and Go has worked in various locations throughout the globe to engage the fatherless, empower single mothers, and equip men to lead. 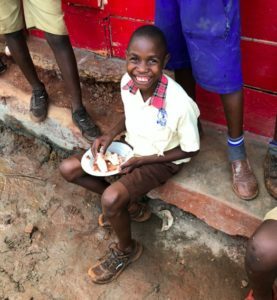 Over 18,000 locals in Uganda, Ethiopia, Kenya, and the Dominican Republic have been impacted through partnerships Man Up has cultivated with local churches and leaders in these areas. Using several Gospel-centered compassion programs and our authentic masculinity approach to equipping men, holistic and comprehensive change is occurring. Learn more below. The U.S. Census Bureau says 25 million children have an absentee father in the United States alone. In response, local Man Up Chapters have sprung up in various locations to tackle this problem, a problem that contributes to higher incidences of abuse, incarceration, emotional instability, delinquency, and lower academic performance1. 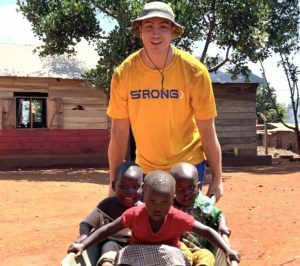 Each Chapter varies in size, scope, and program based on the local community’s context, but all efforts are Gospel-centered and aim to address the problem at its root cause. Learn more about our local chapters below.